NetMotion Mobile IQ® is a real-time intelligence, troubleshooting and alerting tool that arms you with the essential data and insight you need to make your mobile deployment better. Together with NetMotion Mobility® and NetMotion Diagnostics®, Mobile IQ enables our comprehensive Operational Intelligence for Enterprise Mobility platform. 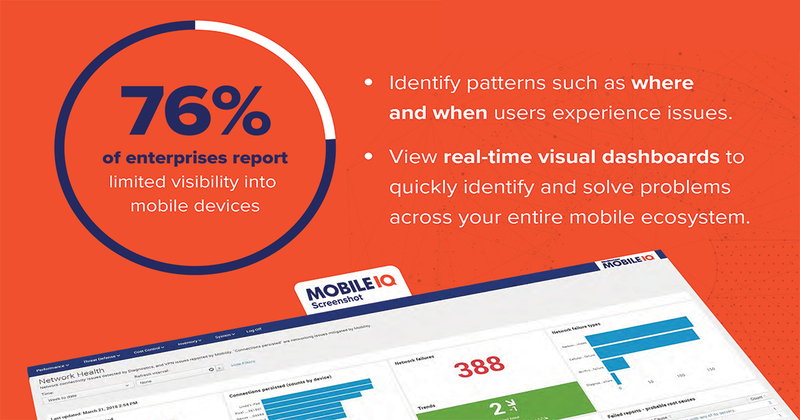 Download a copy of the NetMotion Mobile IQ® infographic to arm your IT team with insights to make mobile deployments better.